African Animal Annals: Deadly trifecta of climate change, population and disease? All fine artwork on this page is by Olivia Pendergast (see note below for more information). In the last quarter of 2014 a book was published and launched on climate change and public health. 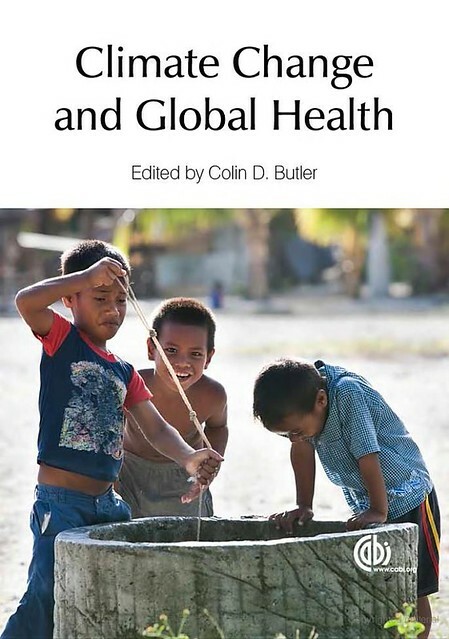 Edited by Colin Butler, of the University of Canberra, and published by CABI, the book brings together 56 authors from 19 countries. Unfortunately, the book lies behind a paywall. You can buy the 328-page hardback volume from CABI here. Chapter 23, on ‘Zoonotic diseases and their drivers in Africa’, is written by Delia Grace (Irish) and Bernard Bett (Kenyan), two veterinarians and veterinary epidemiologists working for the International Livestock Research Institute (ILRI) in Nairobi, Kenya. Here’s how Grace and Bett introduce their subject. 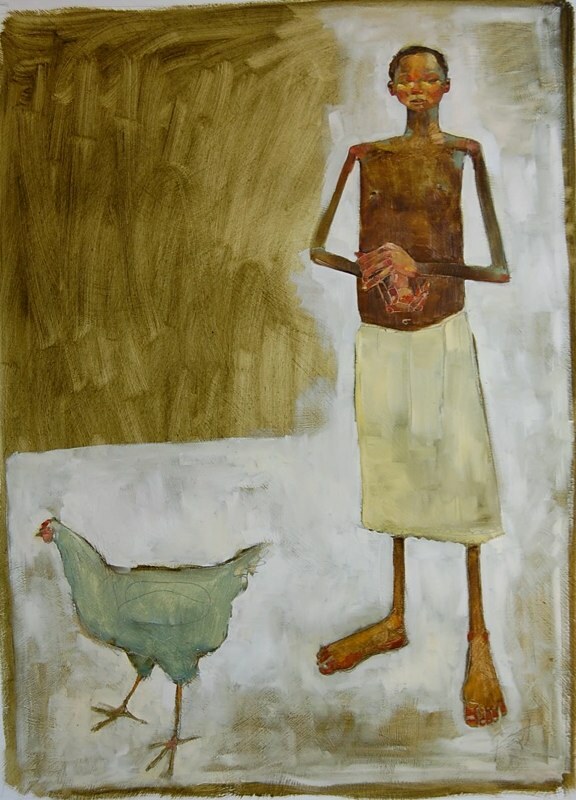 Currently, around 24 billion livestock (19 billion of them in poor countries) provide food, income and other products and services for around 7 billion people (5 billion of whom are in poor countries) . . . . Animals provide income, nutrition, security and psychological benefits. But food that nourishes can contain pathogens that kill; manure that grows crops can poison water; and livestock that survive better than crops in unpredictable climates produce greenhouse gases (GHGs) that contribute to climate change. The current numbers of both livestock and people are of orders of magnitude greater than ecosystems have ever previously been required to support, and nowhere are numbers changing faster than in Africa, the cradle of humanity. The relationships between livestock keeping and human well-being are multiple and complex . . . . 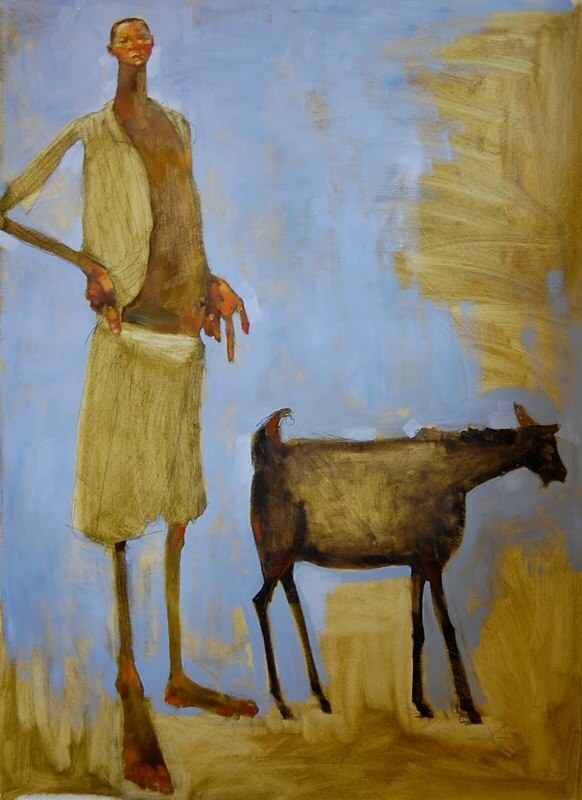 This chapter focuses on one of the most important relationships; that is, the link between livestock and zoonoses in the context of sub-Saharan Africa. . . .
Around one in three of poor African families keeps livestock. There is debate as to whether the popularity of livestock keeping among the poor is a pathway out of poverty or a mechanism and expression of it (Perry and Grace, 2009), destined to be replaced by highly intensive, and impersonal, livestock systems (Dijkman, 2009), as has happened in other continents. . . . The persistence of poverty in Africa, the high proportion of poor families who keep livestock and the relative low level of agricultural intensification and input use have implications for the emergence and persistence of zoonoses in this continent. The rest of this chapter focuses on aspects of zoonoses in ecosystems of most importance to Africa. These include the high vulnerability to endemic zoonoses and the relative protection from the outbreak zoonoses associated with livestock intensification. Also distinct to the populations of this enormous and diverse region are the high dependence on wild-caught ‘bushmeat’ and the exceptional vulnerability to a deadly trifecta of climate change, high rates of demographic increase and uncontrolled disease. . . . Given greater contact with animal carriers and inadequate health services for diagnosis and treatment, it is not surprising that people in poor countries are much more at risk from zoonoses: a recent study estimated that in least developed countries (mostly African), the relative burden of zoonoses and diseases recently emerged from animals was 500 times greater than the burden of these diseases in rich countries (Grace et al., 2012b). . . .
We can think of rapidly intensifying and unregulated livestock systems as ‘hot spots’, where development and rapid change surpass the speed of the Industrial Revolution, threatening animal and perhaps human health in ways never seen before. . . . In contrast, an entirely different set of health problems threaten ‘cold spots’ throughout much of Africa, areas locked in a time warp of underdevelopment and crippled by old diseases. . . . Yet policy and funding is often driven by the concerns of the ‘worried well’ in rich countries, and even in Africa, diseases of intensification that are unlikely to establish receive more attention and support than the silent epidemic of old-fashioned zoonoses that reliably kill and sicken on a large scale. This inevitably diverts funding and scarce human resources from the diseases of the poor. . . .
Below are a smattering of other salient points, as posted on Twitter (here in chronological order). 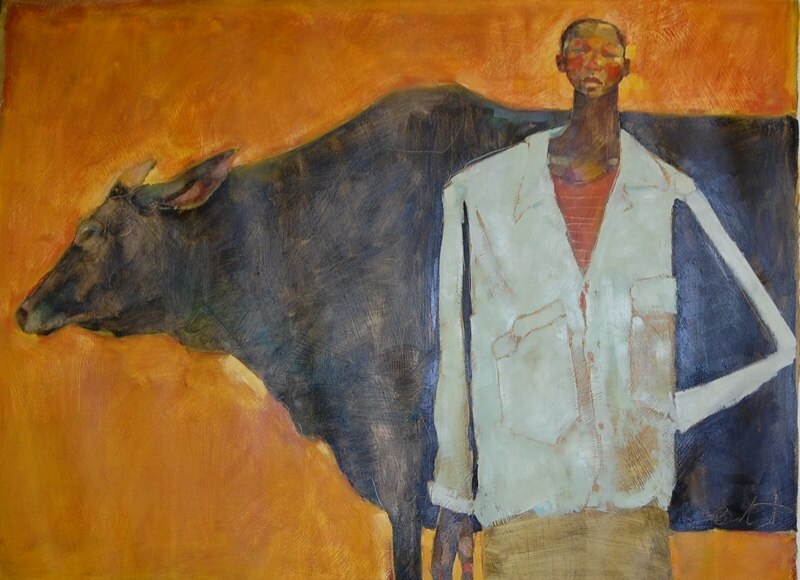 Please visit the home page of American artist Olivia Pendergast, based in Seattle and formally known as ‘Holly Mae’, to see her galleries titled Malawi figuratives 1 and Malawi figurative 2 for more of her fine artwork series from, and inspired by, her African journeys. For more information, please email Delia Grace (d.grace [at] cgiar.org) or Bernard Bett (b.bett [at] cgiar.org). Tags: Bernard Bett, Delia Grace, DFID, Dynamic Drivers of Disease in Africa Consortium, Economic and Social Research Council, Ecosystem Services for Poverty Alleviation Program, Natural Environment Research Council, Olivia Pendergast. Bookmark the permalink.